ASUS CEO Jerry Shen today announced the availability of the latest ZenFone 3 range of smartphones during the Zenvolution press event, making India one of the first countries to have access to the stunning new line-up of smartphones. The event in India saw the launch of ASUS ZenBook 3, an ultra-sleek and lightweight notebook with a premium aluminum design, and ASUS Transformer 3 Pro, the world’s most versatile PC. During the event, ASUS brand ambassador Sonakshi Sinha walked the ramp as the showstopper for a fashion show, organized by ASUS in association with designer-duo Shivan & Narresh, to celebrate the technological progress signified by Zenvolution. Shivan & Narresh’s designs reflected the modern and slim look of the ZenFone 3 Series. 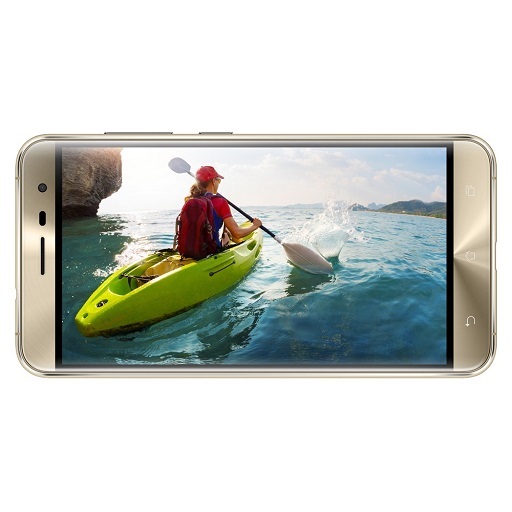 The all-new ZenFone 3 family includes ZenFone 3, a feature-packed smartphone that brings premium design and empowering performance to users; ZenFone 3 Deluxe, the new flagship ASUS smartphone with advanced camera technology that takes mobile photography to the next level; ZenFone 3 Ultra, an incredibly powerful smartphone with a 6.8-inch Full HD display that excels at entertainment; and ZenFone 3 Laser with an ultra-fast 0.03-second laser auto-focus designed for keen photographers. ASUS ZenBook 3 is the world’s most prestigious laptop, with an ultra-sleek and lightweight all-aluminum design that delivers unprecedented performance. ASUS Transformer 3 Pro, the world’s most versatile PC, delivers extreme performance and mobility, as well as unrivaled expandability with a selection of powerful accessories including ASUS Mobile Hub, ASUS Universal Dock, ASUS Audio Pod, the VR/4K-ready ROG XG Station 2 and ASUS Pen. Winner of a Computex 2016 d&i Award, ASUS ZenFone 3 is a feature-packed smartphone that brings premium design and empowering performance to everyone. Built around a gorgeous 5.5-inch Full HD (1920 by 1080) Super IPS+ display with up to 600cd/m2 brightness, ZenFone 3 delivers an incredible visual experience that makes apps, videos, and games look their best. With a narrow bezel, ZenFone 3 provides a 77.3% screen-to-body ratio for a maximized viewing area in a slim and compact body. The front and rear of the phone feature scratch-resistant 2.5D Corning® Gorilla® Glass that gently curves to make the edge of the phone completely smooth. Featuring a next-generation PixelMaster 3.0 camera, ZenFone 3 ushers in a new era of smartphone photography. Equipped with the latest 16MP with the latest Sony® IMX298 sensor, six-element Largan lens with a large f/2.0 aperture, and subject-tracking TriTech auto-focus, ZenFone 3 is a photographer’s delight. Sapphire-glass lens protection ensures clarity and is resistant to scratches and damage. Offering both optical and electronic image stabilization for blur-free shots and video, a color-correction sensor for true-color photography, and true 4K UHD video recording, ZenFone 3 goes where no other smartphone in the category has ventured. The exclusive TriTech auto-focus technology combines three focusing technologies — laser, phase detection and continuous contrast-detection auto-focus — to achieve clear focus in 0.03 seconds, up to 10x faster than the blink of an eye. ZenFone 3 is the first smartphone worldwide to be powered by the new Snapdragon 625 — , the first 600 tier processor using 14nm finFET process technology that makes it 35% more power efficient than 28nm processors. It also features an integrated X9 LTE modem, 802.11ac MU-MIMO Wi-Fi connectivity, PC-grade graphics and up to 4GB RAM that together deliver outstanding mobile performance with improved efficiency and battery life. ZenFone 3 also has a built-in fingerprint sensor that’s perfectly positioned on the rear of the phone to sit underneath the user’s finger and unlocks the phone in just 0.2 seconds. 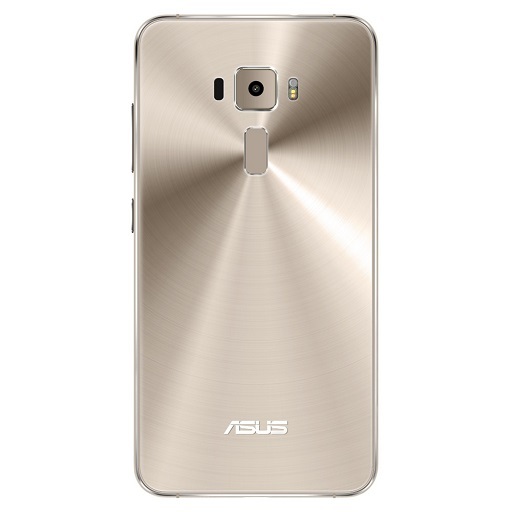 ASUS ZenFone 3 Deluxe — All Metal. Pure Beauty. 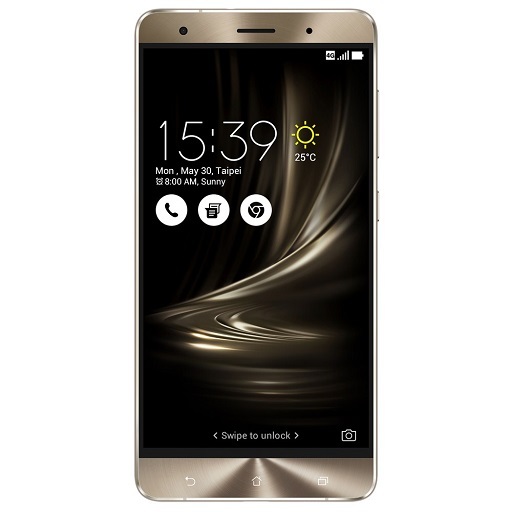 ASUS ZenFone 3 Deluxe is the flagship model of the ZenFone 3 family and is the ultimate expression of the ASUS ‘design thinking’ philosophy. Combining a strong and light aluminum-alloy unibody construction with an ultra-thin 4.2mm edge and exclusive PureMetalTM technology, ZenFone 3 Deluxe is the world’s first all-metal smartphone with an invisible antenna design. 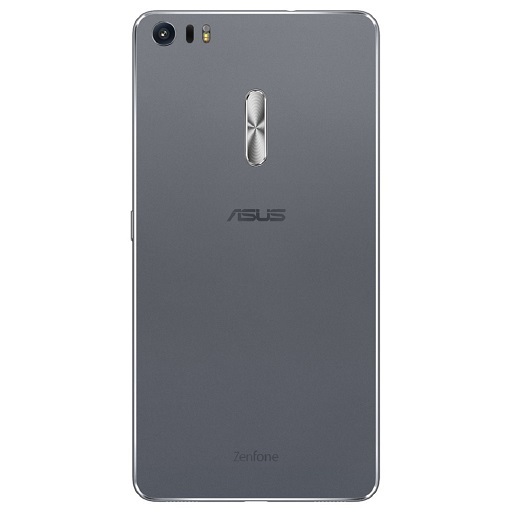 Featuring a 5.7-inch Full HD (1920 by 1080) Super AMOLED display with a color gamut that exceeds 100% of the NTSC color space, ZenFone 3 Deluxe reproduces vibrant and rich colors even in harsh, outdoor lighting. An ultra-thin bezel gives ZenFone 3 Deluxe a 79% screen-to-body ratio that gives maximum display size with minimum bulk. . Inside, ZenFone 3 Deluxe has a powerful Qualcomm® Snapdragon™ 820 processor, Qualcomm® Adreno™ 530 GPU, integrated X12 LTE modem and 6GB RAM. to deliver the best performance and capacity for demanding apps, games, and media. ZenFone 3 Deluxe also excels at audio with its powerful five-magnet speaker and NXP smart amplifier that provides clear, defined sound and also protects the speakers from damage. When listening over certified headphones, users can enjoy Hi-Res Audio (HRA) that provides up four-times-better sound quality than CDs. A ZenEar which supports Hi-Res Audio is also bundled with ZenFone 3 Deluxe. 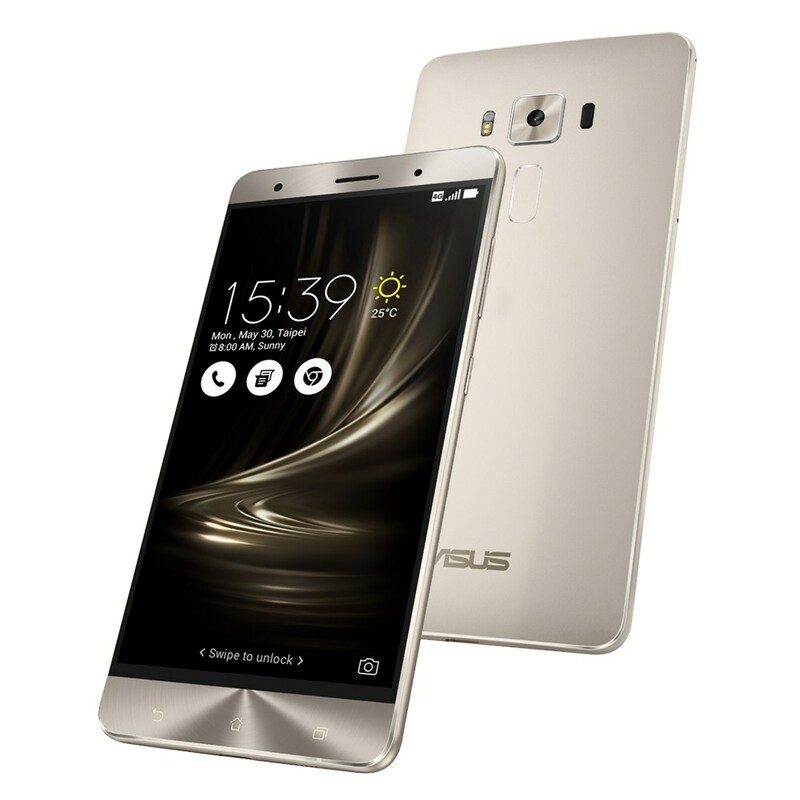 ASUS ZenFone 3 Ultra — Ultra Vision. Ultra Sound. 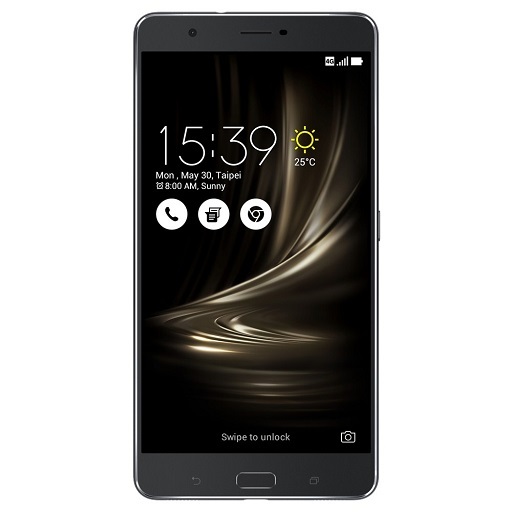 r of a Computex 2016 Best Choice Golden Award, ASUS ZenFone 3 Ultra is a smartphone designed for multimedia lovers, featuring a 6.8-inch Full HD (1920 by 1080) display with a 95% NTSC color gamut for rich, vibrant images, even outdoors in harsh lighting. It is the world’s first smartphone to have ASUS-exclusive Tru2Life+ Video technology, which harnesses a high-end 4K UHD TV-grade image processor to optimize every pixel in each frame before it is displayed, resulting in superior contrast and clarity. ZenFone 3 Ultra also excels at audio with its two new powerful five-magnet stereo speakers and a NXP smart amplifier that provides clear, defined sound and protects the speakers from damage. When listening over certified headphones, users can enjoy Hi-Res Audio (HRA) that provides up to four-times-better sound quality than CDs and the world’s first smartphone with virtual 7.1-channel surround sound with DTS Headphone:X.
tra is equipped with the same high-resolution 23MP camera and ASUS TriTech auto-focus system as ZenFone 3 Deluxe. Powered by the Snapdragon 652 octa-core processor, integrated X8 LTE modem and 802.11ac MU-MIMO connectivity, Adreno 510 graphics, and up to 4GB of RAM, ZenFone 3 Ultra delivers outstanding mobile performance. A built-in fingerprint sensor is perfectly positioned on the front of the phone beneath the user’s finger and unlocks the phone in just a fraction of a second. Powered by the Snapdragon 652 octa-core processor, integrated X8 LTE modem and 802.11ac MU-MIMO connectivity, Adreno 510 graphics, and up to 4GB of RAM, ZenFone 3 Ultra delivers outstanding mobile performance. A built-in fingerprint sensor is perfectly positioned on the front of the phone beneath the user’s finger and unlocks the phone in just a fraction of a second. ZenFone 3 Ultra also has a high-capacity 4600mAh battery for long-lasting performance and Quick Charge 3.0 technology for rapid recharge times. ZenFone 3 Ultra even works as a power bank with 1.5A output for quickly charging other mobile devices. ZenFone 3 Laser includes next-generation PixelMaster 3.0, which lifts its photography capabilities far above the smartphone norm. To capture real-world authenticity, PixelMaster 3.0 includes a 13MP sensor, large f/2.0-aperture lens and laser auto-focus for instant clarity in just 0.03 seconds. With electronic image stabilization (EIS) for blur-free video, and an automatic color-correction sensor for true-color photography, PixelMaster 3.0 represents a revolution in smartphone photography. ZenFone 3 Laser features a sophisticated aluminum-alloy construction with design elements that add to its luxurious good looks and enhance its ergonomics. The finely sandblasted aluminum body with its comfortable rounded sides is enhanced with brilliant diamond-cut chamfered edges, and the contoured (2.5D) glass touchscreen is matched around the back by a gently curving rear cover that feels natural to hold. A rear-mounted fingerprint sensor allows quick and convenient 0.3-second unlocking and authentication. It registers up to five separate fingerprints, and accurately detects fingerprints regardless of the orientation of the finger on the sensor. The next-generation ZenBook is completely redesigned with a gorgeous, ultra-sleek 11.9mm chassis that weighs a mere 910g. To achieve its amazing lightness without compromising strength, ZenBook 3 is crafted from aerospace-grade aluminum alloy, a premium material that is 50% stronger than the standard alloy used in laptops. As well as being strong and light, this material is also supremely elegant and features the signature ZenBook spun-metal finish. ZenBook 3 is available in three exclusive colors — Royal Blue, Rose Gold and Quartz Grey — and a special two-phase anodizing process is used to create stunning golden highlights on the diamond-cut edges. ZenBook 3 delivers unprecedented performance powered by up to the Intel® Core™ i7 processor, 16GB of 2133MHz RAM, up to a 1TB PCIe® Gen 3 x4 SSD, a next-gen USB Type-C port, and powerful quad-speaker audio by Harman Kardon. Its high-resolution 12.5-inch display has a wide 72% NTSC color gamut and an edge-to-edge covering of tough, scratch-resistant Corning Gorilla Glass 4. A slim bezel design provides an 82% screen-to-body ratio for the maximum display size with the minimum footprint. ZenBook 3 has an innovative cooling system featuring the world’s thinnest fan design at just 3mm. This efficient cooling enables ZenBook 3 to achieve incredible performance in an ultra-thin form factor. ZenBook 3 features a full-size backlit keyboard with 19.8mm key pitch — the same as most desktop keyboards — and 0.8mm key travel to deliver comfortable typing experience. A glass-covered precision touchpad provides smooth and accurate input and incorporates palm-rejection technology, Smart Gestures, and handwriting support for enhanced usability. A built-in fingerprint reader with Windows Hello support gives users instant one-touch access, allowing them to sign in and unlock ZenBook 3 quickly and securely without having to type their password or PIN. ZenBook 3 provides up to 9 hours of battery life for all-day computing. When it’s time to recharge, fast-charge technology brings the battery up to 60% capacity in just 49 minutes. ASUS Transformer 3 Pro is a 2-in-1 PC that combines unrivaled performance with incredible portability to create the ultimate mobile device for work and play. Precision-crafted from aluminum, ASUS Transformer 3 Pro is only 8.35mm thin, yet has incredible structural strength and rigidity. 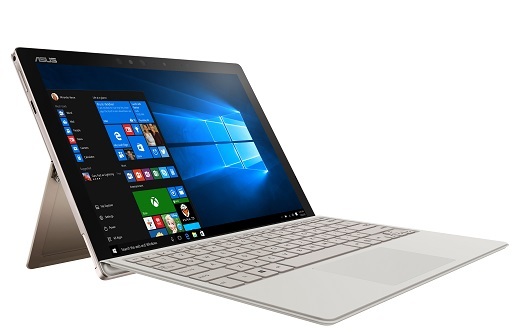 ASUS Transformer 3 Pro has diamond-cut detailing that accentuates its elegant design, and it is available in gorgeous Icicle Gold and Glacier Gray color options. ASUS Transformer 3 Pro has an integrated metal kickstand with a stepless hinge that lets users set the device at almost any viewing angle up to 170°. The included ASUS Transformer Cover Keyboard is a backlit keyboard that provides laptop-grade 1.4mm key travel for a comfortable typing experience and is available in four attractive colors — Stone, Charcoal, Taupe, and Amber — that perfectly complement the device. ASUS Transformer 3 Pro has a beautiful 12.6-inch display with a resolution of 2880 by 1920 and a 275ppi pixel density for pin-sharp, detailed images and a gamut of 121% sRGB color space for rich, vibrant colors. Dual front stereo speakers with audio by Harman Kardon provide spacious, defined sound for incredible listening experiences. ASUS Transformer 3 Pro is powered by the Intel® Core™ i7 processor and has up to a 1TB PCIe x4 SSD and 16GB of 2133MHz RAM for the ultimate performance. Its versatile, any-way-up USB Type-C connector supports USB 3.1 Gen 2 devices at speeds up to 10Gbps, and Thunderbolt™ 3 provides unbelievably fast 40Gbps data transfers and support for dual external 4K UHD displays. ASUS Transformer 3 Pro also comes with USB 3.0 and HDMI ports for convenient connectivity. A 13MP rear camera lets users capture high-resolution photos and videos, and a front-facing camera with Windows Hello facial recognition enables users to conveniently log in with just a quick glance. ASUS Transformer 3 Pro is expandable with a range of accessories that extend its functionality and performance, giving users a new level of flexibility and convenience from a mobile device. ASUS Pen is a beautifully crafted writing and drawing utensil that offers 1024 pressure levels for completely natural note-taking and sketching experiences with a high degree of control. Users can also capture photos with the high-resolution camera and annotate them directly with ASUS Pen. ASUS Universal Dock is a hub that provides a full range of connectivity ports, including USB-C 3.1, USB 3.0, HDMI, VGA, RJ45 LAN, and a 3-in-1 SD card reader. ASUS Audio Pod is an entertainment accessory that includes four powerful speakers to deliver amazing 360° virtual 5.1-channel surround sound with rich, defined bass. ROG XG Station 2 is an external graphics card dock that gives ASUS Transformer 3 Pro desktop-grade graphics performance, turning it into a VR-ready, 4K UHD gaming powerhouse. ZenFone 3 will be available from 17th August 2016 at a starting price of INR 21,999 on all major e-commerce sites like Flipkart, Amazon, Snapdeal, Paytm, ShopClues, Tata CLiQ and in chain store – Sangeetha Mobiles. It will also be available at all leading retail stores across India before the end of August 2016. For more details , please check the Press Release : Download .